"The Topoloveni Concentrated Plum Spread is the only brand in the food industry, which since 1990 has shown that we, Romanians, respect our traditions and recipes. 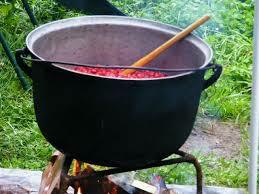 At the beginning of the 20th century, Maximilian Popovici transposed the peasant recipe (cooking the plum jam directly on the fire, in cauldrons). The great merit is to adapt the cauldrons with double walls turning them into the traditional cauldrons. The benefit of this process is evident for the final product because it retains all the nutritional qualities of plums by cooking it at low temperature. The Topoloveni Concentrated Plum Spread is a culinary art, part of the Romanian culture, certifying the Romanian wisdom and respect for the way they eat. 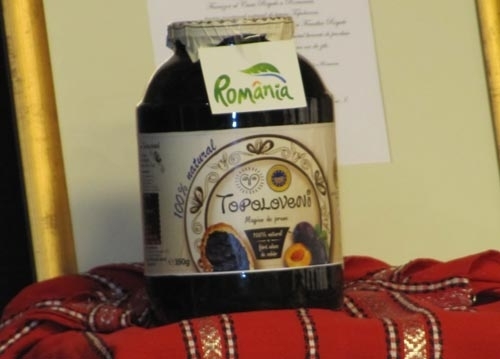 The Topoloveni Concentrated Plum Spread quality is a reflection of the quality of the Romanian people. This is the fundamental reason for which we cannot afford to decrease the value of this recipe." Among the childhood olfactory memories, besides the smell of the field, hay, and jasmine, deeply rooted persists the smell of "the plum jam". A simple recipe, but that requires time and "dedication". In the month of August, when ripe plums were hanging on the branches, we, the children, had to gather the most ripe and sweet plums. At home, grandma was preparing a big iron cauldron, installed the trivet in the courtyard and she was waiting for us to bring the gathered plums. 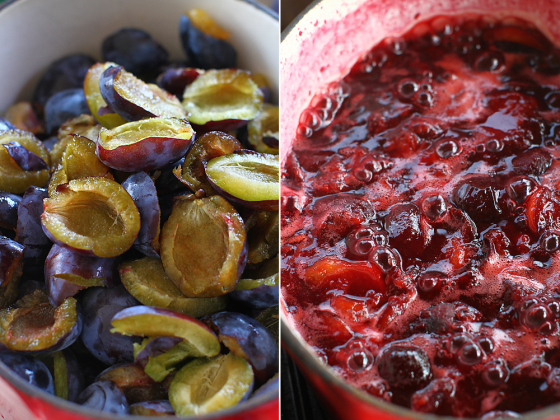 Took off the pits, cut the plums and removed all the stems, then she washed them well and then left them to drain. After that, through her art and secrets, she began the "alchemical" process of preparing the most delicious and nutritious sweet of my childhood, the plum jam (or the marmalade as it was called in the parts of Târgovişte). Then, grandma overturns the plums in the iron cauldron adding a bit' of water (not much, just in order to not stick to the pot) and put it on a smoldering fire. The boiling process lasts for a long time (started at 6-7 a.m. and ended in the after-noon). She was mixing the composition often, especially after it began to boil, for not to stick to the pot). She used the fire only at the beginning, until it turned into embers, after that, the boiling was produced only by the embers. Near the cooking place she used to make a pit where she was preparing other embers that she moved it from there under the boiler. Meanwhile it expanded a wonderful scent of "roasted" plums, perfume that remained steeped in my memory, waking sweet nostalgia. Only when the wooden spoon stood stiffly in the middle of the cauldron and the jam get a dark shade of burgundy-brown, grandma turned off the embers. 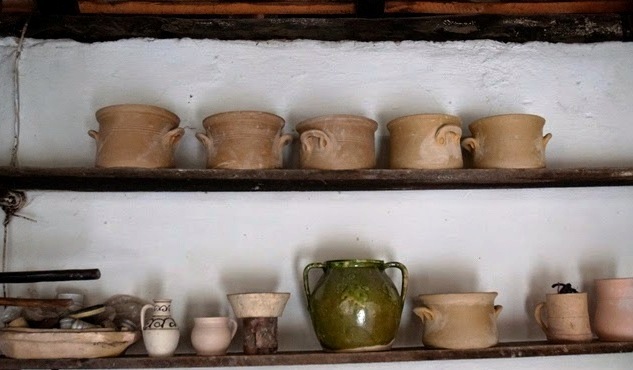 In the meantime, she was preparing the clay pots, washing and sterilizing them with hot water and putting them to dry. At the end, grandma put the jam into the pots and covered them with multiple layers of paper, bounding it tightly around the pots neck.